Instagram is one of the most popular social media channel today, and millions of people use it to share some amazing content. Most of the people uses as business like sell on Instagram. When so many people are available on one platform, you should certainly think of taking advantage of this facility. Just by using the platform in a sensible way and presenting yourself as an authentic seller, you can certainly increase your sales in no time. You can buy Instagram followers to come across as an authentic business, but you should consider paying attention to the quality of your content. Most people know nothing of how to take full advantage of placing a clickable link their account. Instagram does not support linking your photos and stories directly to your selling page or to the specific blog. It only allows a single link in the bio section often called CTA (Call-To-Action). Since you have only one option of linking, you must use this link in the most productive manner possible. Whenever someone likes your photos and stories or wants to follow you they look into your bio to know more about you. You must add a link here connecting people to your business page or blogging site. Give your link an appropriate CTA like ‘Shop here’ or ‘Visit my blog’ or ‘Enter here’. These CTA are likely to let the viewer visit your site or page which will result in an increase in sale and boom in traffic. Instagram is a mobile-friendly app and you can access all its features with your smartphones. 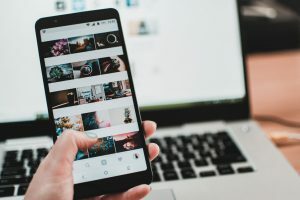 As smartphones usage has increased manifold as compared to laptops and desktop computers, there is a probability of Instagram marketing to be on top as compared to other apps which require a login from the computer for complete access to all the features. Your smart marketing strategy linking your advertisements with Instagram CTA will definitely boost your sales and popularity and let you accomplish your goals. When someone clicks the CTA button on your profile, it opens up a web page which is also known as the landing page. Many people make the mistake of not paying special attention to creating a highly impressive, attractive, and informative landing page. Your landing page must convey the main objectives of your site or business and help you in achieving your goals. It should be a composed advertisement page highlighting all the essential elements of your brand. It may include photos, videos or only content briefly describing the site. It’s always better to combine quality content with relevant photos to attract the maximum number of people. 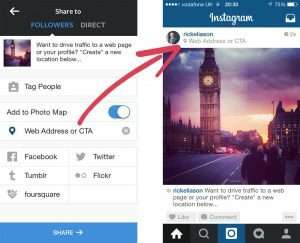 Since Instagram is a mobile-friendly app, your landing page must also be mobile-friendly. People using an app on phone won’t bother to open its link from the desktop unless it’s really essential. You linked site on Instagram must support sales from mobile too. Therefore, you should design your landing page wisely keeping in mind all the desired details to gain the full advantage of the link in the bio. Sharing your everyday story on Instagram increases your popularity among your followers and they get a chance to know you better. It helps even if you are going to buy real followers. You need to use it correctly and avoid mistakes that other people make. The Instagram story remains on your profile for 24 hours and appears on top of your followers` newsfeed. It’s a great feature of Instagram which helps you to be in front without being worried about the Instagram algorithm. Since Instagram stories automatically get deleted after a day, you can post behind the story idea in your newsfeed. You can also post the hints regarding the upcoming story to create a hype and curiosity among the followers. 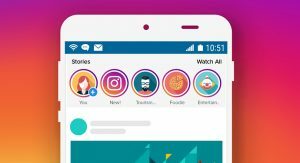 Stories on Instagram increases engagement on your profile, which in turn helps in promoting the business. It takes the brand image to a whole new level. So, take your time, plan things well, and then proceed with your social media marketing campaign.